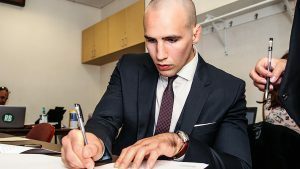 Rory MacDonald is Officially the Newest Member of Bellator MMA » MMA H.E.A.T. 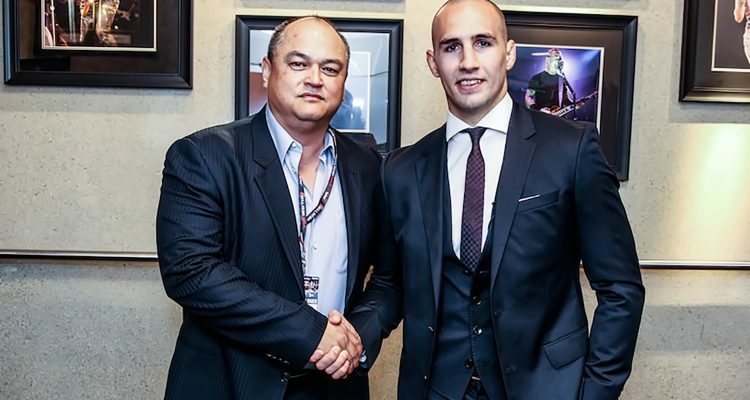 Bellator MMA is elated to formally announce the signing of mixed martial arts superstar Rory MacDonald to an exclusive, multi-year, multi-fight contract with the Scott Coker-led promotion, making “Red King” the latest in a long line of blockbuster acquisitions for Bellator MMA. The former No. 1 contender to the UFC welterweight crown is undoubtedly one of the premiere free agent signings in the history of the promotion. The “Red King” has totaled nine career victories under the UFC banner, including wins over current welterweight champion Tyron Woodley, in addition to B.J. Penn and Nate Diaz. MacDonald is clearly the most popular active Canadian mixed martial artist since the former UFC welterweight Champion and teammate Georges St. Pierre, whom MacDonald has trained under for years at the world renowned TriStar Gym in Montreal. At only 27-years-old, MacDonald joins the fray with an impressive professional record of 18-4 and enters a stacked welterweight division of fighters already signed with Bellator, that currently has a world-class champion in Andrey Koreshkov. No Comments on "Rory MacDonald is Officially the Newest Member of Bellator MMA"